The Bible and earliest history refer to the sun (hence light). Please note that in the first paragraph of the first book of the Bible, Genesis, it does NOT say “…Let there be cortisone, surgery or ultra-sound”. It says, ”Let there be LIGHT”. For approximately thirty years, light, in the form of Low Intensity Laser Therapy (LILT) has been used to treat a myriad of conditions. 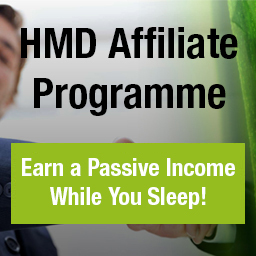 Significant advances with this technology have occurred since the mid-eighties. However, the available information was only sparingly disseminated to the scientific community. Little was known by the clinician (Baxter et al, 1991) until it was utilized, primarily in Europe and Asia, with very little information available in North America. When being applied properly, LILT has proven to be tremendously effective. Unfortunately, until recently there has been a lack of scientific scrutiny concerning the clinical efficacy of this procedure (Baxter et al, 1997). This does not mean that LILT doesn’t work. 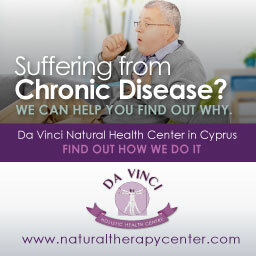 Despite the lack of scientific research, clinical results have been outstanding. While patients were getting better, clinicians didn’t know why or understand the reasons for this improvement. In LILT, Red (633nm) and infrared (830nm) have different effects on molecules. Red (visible) light can produce chemical changes while infrared radiation can only produce physical changes in molecules. In spite of this, both result in clinical improvement. Visible light enhances cell proliferation through photochemical changes in the mitochondria, which then set in motion a chain of biological events that ultimately, affect cellular membranes. This, in turn, has an effect on messenger RNA synthesis, which ultimately leads to the observed enhancement of cell proliferation. Pores in membranes open and close to let ions, such as calcium, in and out of cells as a consequence of physical changes in the membrane pore molecules. Calcium ions act as intracellular messengers in many signal-transducing pathways. The cellular calcium ion concentration can be abruptly raised for signaling purposes by transiently opening calcium channels in the plasma or intracellular membranes. The catalytic activities of many enzymes are regulated by the calcium concentration. Since infrared radiation affects the physical state of molecules, they can affect the pore molecules directly. Thus, a similar effect on cell proliferation can occur whether the cells were irradiated with visible light at 633nm or infrared at 830nm. Specific types of molecules absorb specific wavelengths of light, both visible and infrared. Absorbed radiation produces specific biological effects in tissue, depending upon which types of molecules absorb the light (Karu, 1998). Trelles et al reviewed the use of local irradiation with LILT. They found this approach elicited the following types of effects: biostimulatory, analgesic, antiexudative, antihaemorrhagic, antiinflamatory, antineuralgic, antioedematous, antispasmotic and vasodilatory (among others). Trelles, et al, (1989) and Muxeneder, (1988) also reviewed the effects of LILT in vertebral pain, headaches and local immune responses. They found the main clinical uses included wound healing, pain control, soft tissue injury, arthropathy and osteopathy and treatment of existing scars. They observed local irradiation stimulated extremely rapid healing, even of extensive indolent superficial wounds. It was considered effective and safe. Scarring was minimal. According to Mester, et al, (1985) and Muxeneder, (1988), the effects of LILT on wound healing are dramatic. They stated, “many irradiated septic wounds heal as if by first intention”. Numerous clinical studies, and this author’s experience as team physician for a nationally ranked college hockey program, all indicate that swelling and inflammation in superficial muscles, tendons, ligaments, bursae and sheaths can be alleviated by irradiation of the affected areas. 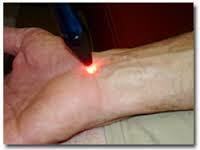 In arthropathy and osteopathy, mid-range lasers can alleviate pain swelling and inflammation of accessible joints, especially if the primary sites are irradiated. Initially, the effect was thought to be anti-inflammatory, but recent work has shown that LILT enhances the inflammatory process and allows the body to reach the healing stage much faster. It is also effective in pain control and resolution of osteitis and periostitis in superficial areas. It was (and still is) preferable to ultrasound in these conditions as the latter can only heat bones, potentially causing damage. Old scars (surgical or traumatic) can act as trigger points if there are tender areas, keloid formation and adhesions along the scar. Such scars can be associated with chronic, reflex pain, lameness and autonomic effects. LILT of such tissue can produce dramatic clinical improvement in most cases. The earlier lasers were “powered” by gases such as Helium and Neon (He-Ne). It was not until the 1980s that the semiconductor diode systems became available. The most popular of these for clinical use are the gallium arsenide (GaAs) and the gallium aluminum arsenide (GaAlAs). These superluminous diodes are mounted into a “treatment head” for easy application. The emitted light includes far and near ultra-violet, the visual spectrum and near, mid and far infrared. In LILT, nothing happens unless the tissue absorbs the photons (bundles of light). In the therapeutic near infrared range absorption takes place in the tissue water (about 70%) and organic molecules (about 30%). For this purpose, absorption may be defined as the conversion of light into some other form of energy. Once absorbed, the photons have different effects on amino acids, nucleic acid bases and other groups called chromophores. The former is the basis for DNA and proteins. The latter involves porphyrins, which are bio-organic molecules (hemoglobin and melanin are examples). Another factor in the photochemical action of LILT is attenuation, or how much light is lost as it travels through tissue. This depends upon the ratio between absorption and scattering. This ratio varies according to the type of tissue irradiated and the wavelength applied. Where light absorption is low, (600 – 1200 nm), scattering predominates. In human tissue, scattering tends to be in a forward direction. Considerable cellular research concerning laser irradiation has been done since the 1970s. At that time the focus was primarily on wound healing due to the great clinical success using LILT. For obvious reasons, the studies related to this involved observing the actions of fibroblasts, lymphocytes, monocytes/macrophages as well as epithelial and endothelial cells. 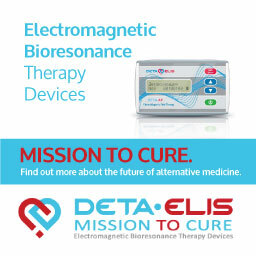 All studies exhibited the positive effects on the healing mechanisms involved with the cells being tested, either by stimulation or inhibition. As a result, one could explain why wounds heal faster with LILT. 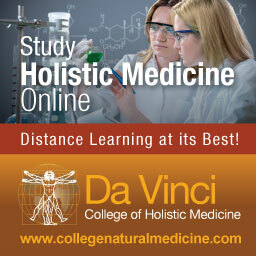 However, the exact mechanism is still unknown; The effect on the patient and how it affects healing is however, known. What remains unknown is the exact mechanism by which light causes these photochemical reactions. Of at least equal importance (more so for the practitioner) is the role of LILT in pain relief. 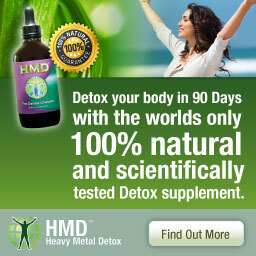 This, more than wound healing, results in the, ”too good to be true” attitude within the American medical community. After all, EVERYONE knows the only ways to relieve pain are by medication and surgery. If these don’t work, psychotherapy is the last alternative. However, since 1986 world-respected researchers have recommended LILT for such use (Seitz & Kleinkort 1986; Zhou Yo Cheng 1988; Woolley-Hart 1988; Kert & Rose, 1989). In addition, clinicians around the world, based upon their professional experiences, confirm the analgesic effect of LILT. Unfortunately, from a strictly scientific point of view, these reports are hardly conclusive. There has been little or no standardization in the application of LILT. The type of laser used, the wavelength, contact or non-contact mode, length of treatment as well as skin color, age of the patient and body type are all variables that can effect outcomes. As a result, the majority of reports concerning the efficacy of LILT have been considered anecdotal. A great many of those were reported in foreign languages, which often resulted in obscuring information during the translation. Another major obstacle involves the subjectivity of pain. The very nature of pain is such that there is no truly scientific way to measure it. Also, some people have higher or lower sensitivities. They also react differently to having it (victim vs. survivor). On almost a daily basis, pain sensitivity can vary depending upon physical, chemical and/or emotional factors. In spite of these limitations, the number of clinicians and patients who report significant analgesia from LILT has grown dramatically. Whether or not we know exactly why, LILT is proving to be a very valuable modality in the treatment of pain. In fact, clinicians using LILT and other forms of electrotherapy consistently report the clear superiority of the former. In a growing number of instances, it is now used as the first treatment of choice for pain. Perhaps even more important is the fact that, to date, there has never been a report of a serious, long-term negative side effect attributable to this procedure. The list of painful conditions treated with LILT is extremely impressive. In fact, clinically it would be easier to list conditions on which LILT does not work. Even then, failure is not outright. It is more appropriate to say that the percentage of success in some patients, with some conditions, is lower. These conditions include spinal stenosis, where there is direct bony pressure on a nerve(s), reflex sympathetic dystrophy and advanced neuropathy. In addition, “permanent cure” is difficult to achieve if a structural component exists. A reasonable analogy is having a motor vehicle that pulls toward the right side of the road when the driver is trying to go straight. If the right front tire is not flat, there is probably a misalignment of the vehicle’s front end. The driver might not want to spend the money to get it aligned (perhaps the lease is up very shortly). Instead, they lower the air pressure in the left front tire to the point that the car drives straight. Problem solved! The symptom goes away. Unfortunately, they will have to purchase two new front tires every three thousand miles (5000km) or so. Thus, structural problems demand structural corrections. If there is a misalignment in a person’s hips, spine or extremities, there is a constant irritation to the soft tissue components of those areas. It can feel better with LILT, but permanent healing will be extremely difficult to achieve. When this is the case, concomitant structural correction (manipulation) and LILT results in rapid, complete recovery. Included in the above list are sports-related injuries experienced by “weekend warriors”, college and professional athletes. After a double blind clinical trial conducted by General Motors Corporation using LILT for Carpal Tunnel Syndrome, the company has established laser treatment facilities in all of its manufacturing plants. While the neurophysiological effects of pain have been studied in both animals and humans, no major recent studies have been completed recently. The latest reviewed was Basford et al, 1990. Overall, the findings were inconsistent and even contradictory with human subjects. However, once again, there was no standardization. It does appear that the use of He-Ne lasers at low doses (less than 1 J/cm squared) would consistently have no appreciable effect on nerve conduction latency. The Arrant-Schultz Law (Baxter, (1997); Ohshiro & Calderhead, (1988) may explain the inconsistent findings of researchers. It is to photobiological activation what the law of diminishing returns is to economics. Basically, it says there is a threshold amount of energy (laser light) that is required to effect a change in cellular activity. This amount varies with individuals. When the dosage is increased above threshold (relatively little), the degree of cellular biological activity also increases. When the dosage increases further, above a certain level (variable), a plateau effect occurs. There is simply no increase in cellular activity. When the dosage is increased above the plateau level, there is an inhibitory effect upon the cells. Using this model as justification, many experts in the field of LILT contend that it is not possible to “overdose” with laser treatment. 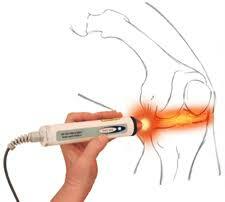 Low Intensity Laser Therapy has been clinically proven to be superior to all other forms of pain therapy. 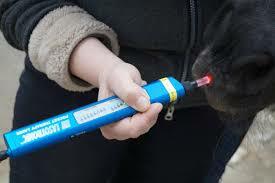 In comparative applications, it has worked better than medication, ultra-sound, electrotherapy, heat, ice, etc. It also does not have some of the severe side effects, as do other forms of treatment. LILT is not a “magic wand”. 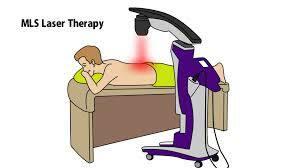 It is a medical device which promotes rapid healing and pain relief. This is a PROCESS, not an on/off switch. However, millions of patients have been helped when no other form of treatment has worked. 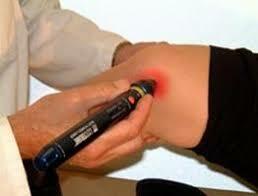 Laser therapy also dramatically reduces healing time when compared to other traditionally used modalities. Hospitals in Great Britain use LILT in post-surgical recovery rooms. They have found patients have much less pain, take 50% less pain medication, heal in half the time and have significantly less scar tissue. To those of us who have been privileged to use this technology, our patients’ permanent recoveries are not only believable, but also expected. In this authors opinion and experience, the most superior form of low intensity laser therapy is via the BioFlex computer-driven laser instrument, produced by Meditech International, in Toronto, Canada. Besides dozens of pre-set protocols (see the partial list above), it can also accommodate customized protocols. All parameters can be altered to truly individualize each treatment. Even such things as age, skin color and body type can be considered when choosing the appropriate amount of light exposure. Once chosen, it is calculated automatically. Another of the unit’s most unique features is the “Flex” part of the name BioFlex. The treatment heads can wrap around joints (knee, elbow, wrist, etc. ), delivering light through either 60 or 180 superluminus diodes. This author, while treating almost 4,000 patients, found that the BioFlex was clearly superior to the other laser devices he used previously. 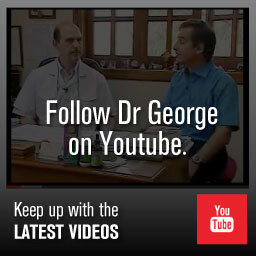 The author expresses his deepest gratitude to Dr.G. David Baxter, Director of the School of Social and Health Sciences and Education, University of Ulster, Ireland. I relied heavily on his genius and research. Everyone interested in adding Low Intensity Laser Therapy to his/her practice MUST read Dr. Baxter’s book, “THERAPEUTIC LASERS, THEORY AND PRACTICE”, Churchill Livingstone, 1997. It is the most authoritative, well-documented and readable text on this subject. If this author could impose such a standard, this text would be required reading before embarking on the use of this wonderful technology. Smith K C Professor Emeritus, Radiation Oncology, Stanford University School of Medicine, Founder and First President of the American Society for Photobiology, In: The Science of Low-Power Laser Therapy 1998 Karu T, Gordon and Breach, Amsterdam, The Netherlands.